Meet Pauline Bailey another of our great volunteers here at HBSA. 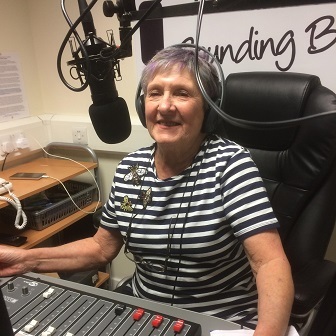 Pauline is bright and bubbly and super reliable, you’ll hear her on her own show every week and you might just catch her at other times too as she willingly steps in when others can’t manage to. Pauline’s cheery personality and the range of music choice on her show means that there is always something for you in her show – whoever you may be.